Traveling for pleasure & leisure is the essence of the excursion, it can be seen by & large as going hand in hand. Tourism is a much spent industry all over the world boosting the overall economies of the countries, enhances growth & financial progressions. It supports & facilitates the sectors of transportation, entertainment & accommodation (Hotel businesses, housing & lodging etc.). Russia, China, USA, UK, and Germany are the biggest spenders in the industry while Malaysia, India & Brazil are emerging players among the biggest spenders in their respective tourism industries and can be seen as rapidly growing tourism nations in the world. Gustave Flaubert once said, “Travel makes one modest; you see what a tiny place you occupy in the world.”. The frozen beauty of Europe has long been visited by the centuries of travelers for the last two centuries at least. One cannot stop thanking nature for the beauty & eyes beholding it for the most scenic and seasoning memories of visits paid by him/ her. The spellbound beauty of the villages and cities, isles and sea-sides and the rest surrounding them will always cast a magical spell on her visitors. 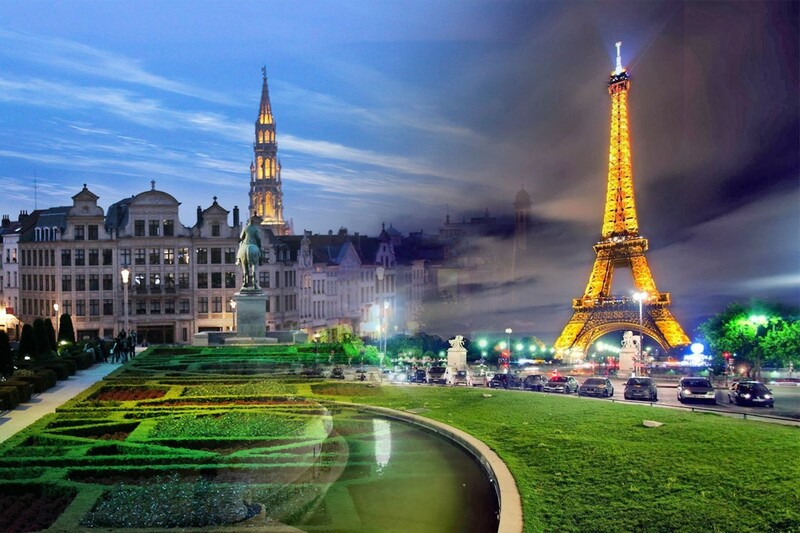 Here is the lists of must visit destinations of Europe. The phenomenal rather wholly alpine scenery – the largest one in the world of its kind offers the bewitching of Swiss valleys, country sides, lakes, passes zoos, and hills covered with the mass outskirts of alpine, making the beholders “alpinized” and thus creating natural phenomena called “Alpinization”.so we included it in our list of Top ten best Countries to visit in Europe. You will have no choice to visit the one in first and the last from these destinations. The most splendid Scandinavian beauty starts and ends with this region of outpouring geysers, icebergs, cascades, black-sanded beaches, hot fountains, and the mysterious and a number of undiscovered sea caves. You will always get welcomed warmly in the frozen desert – the small Scandinavian isle which is no less than cold hell when it comes to severe climatic conditions. Here is something for you to wander about in cold! 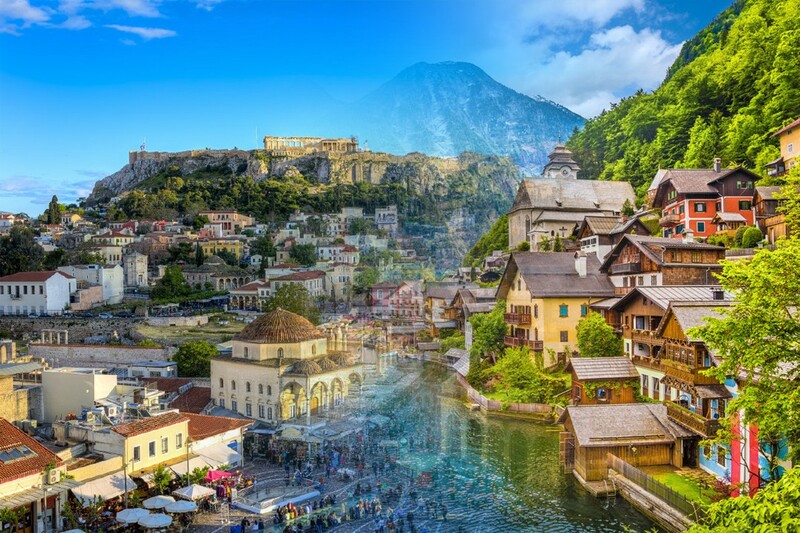 The natural scenery, beauty of architectural masterpieces, state of art Museums,alpine-packed & snow-capped, the blue & sliver glimmer & glitter of the French Riviera, historical Oak forestry and the seasoned & savored cuisines have nothing much to say about. Never miss the classical & historical palaces, cathedrals, Museums, forts and the rest of the many which aren’t short listed! From ancient to modern the Irish land has something there for everyone following anything of their interests. The emerald-coated rich green isle offers a number of great indulging beauties from its lush green country sides and coastline (Atlantic). One can have the pleasure to visit the landscape of historic Boyne Valley one of the few World Heritage Sites, as old as about 5, 000 years ago. Must be a dreamt & desired experience for the history lovers and archaeology guys! The tombs and graves are ancient than Giza Pyramids & England’s Stonehenge heritage. Ring of Kerry with its marvelous coastline, intensely hued towns, archaeological reserves, stunning gardens, and the quite & mysterious gardens can never fail to amaze its visitors. Stretching as much as 5 miles & rising as high as up to 702 ft beside and on the Atlantic waters, the Cliffs of Moher are opened to as much as one million tourists every year. Giant Causeway, Aran Islands, Trinity College Dublin, The Burren, Grafton Street, Temple Bar, Irish white House, The Book of Kells, Guinness Storehouse, St. Patrick’s Cathedral and Croke Park are the narrowed down yet must visit in the Irish Republic. Visit the Andalucía and you will find yourself visiting multiple countries/ regions, each being different form the other one. The Picos de Europa of North to Catalan cultural sites of Barca you will find a world in a country! The diverse cultures and the landscape beauty of splendorous beaches, delectable cuisines and heart throbbing cultural festivals made Spain a vibrant & exciting place for the adventure lovers and lively people. Here is some of what we summed-up from the lists. Don’t miss the industrial city and architectural genius of Guggenheim Museum in Bilbao. – The historical city of Toledo– “City of three Cultures” (Christians, Jews & Muslims). The narrow streets, whitened courtyards, and fused marvel plazas are a majestic attraction for the visitors in Mezquita. The Cathedral (former Mosque) is a historical place and architectural marvel among other destinations. Visit the sea-side with the superb beaches and traditional cuisines. Construction Genius and known for the Falls festival and the Architectural scenery is a must visit destination. The financial & cultural hub of Southern Spain is famous for its festivals finding historical sites like Grand Cathedral of Seville. Structured on the Sierra Nevada mountains the Granada is a complete fusion diversified cultures and traditions. Alhambra, again an architectural genius of Moorish art concealed with the history of Andalusia is also located in the region. The mix of different ethnicities, a center to a number of learning centers and the vibrant nightlife culture exist in this cosmopolitan part of Spain. Justifiably the city of Antoni Gaudi; the legendry work in the Casa Batllo and Sagrada Familia Church is will be the part of history for a number of years and generations to come. The ancient & modern destinations to the tourist with the old and new customs and traditions make it most populated among the visitors from all over the world with the architecture no less than the World Heritage site in terms of construction wonders. Add the England, Northern Ireland, Wales and Scotland up and you will get the magnificent countryside, historical & state of art cities, Museums, world-class and class apart theaters, primitive castles, Scottish altitudes and the one & only Lake District – the inspiration of Wordsworth! Here is what we get from the composition of the four entities of the Kingdom which was united & remains united. Don’t miss the Cambridge if you make a visit to the UK. Do visit the University of Cambridge, King’s College and the marvelous architectures along the River Cam as the City is home to a number of those. The second’s largest National Park of the country with the number of natural attractions i.e. lakes, mountains, hills and eye-catching scenery the district is well-known destinations to the tourists and nature lovers who wander every year in a strength of as many as 14 million. Hiking & Climbing may be the best tasks for you, if you have passion and required strength for the job! |Third largest national park is a home to the amazing hills most notably the Mount.Snowdon. Find the beautiful Wales and England; the highest mountain and third largest lake in the Kingdom. The historical city of Chester bordering Wales with its impressive and classical architecture and old medieval walls can be other beautiful sites for you to tour. The golden sandy beaches and silver & blackish cliffs alongside the Peninsula with the beautiful beaches are a home to number of tourists following the isolated beauty of the Peninsula. The walled city of York and the home to York Minster Cathedral are loved by the pedestrian or on foot tourists as the city commands the Europe as its largest pedestrian zone. The city is a fusion to the old and new architectural works and thus housing as many as 4500 historic sites. Cobblestone streets, Palace of Holyroodhouse, Edinburgh Castle and Royal Mile are a few of the 4500. |Truly the World heritage site of Stonehenge is a Neolithic classical earthwork as old as 2500 B.C. Explore the stone ages of the planet by visiting the ancient Stonehenge heritage. Visit some Scottish beauty as well; the Britain’s highest mountain, Eilean Donan Castle and Loch Ness and Ben Nevis are the Scottish attractions to go for. Fascinating museums, lush green parks, beautiful art galleries, shopping malls, theatres, Buckingham Palace, Big Ben, Tower Bridge and Thames River are all waiting for you with the rest of many! There are many reasons to remember the Germany; Strong Economy, industry, architecture and Engineering but the beauty and tourism can never be the missed. The fairytale castles, timber-covered valleys and rivers, denser forestry and enchanting landscapes all can be found in the strongest and beautiful European destination. We have revealed the cities to you the rest in it are concealed to surprise you. Reveal the rest by visiting one of the visited wonders of the world. Here are the 10 tourist destinations to be visited in Germany. From Natural to Cultural landscapes Austria has all the beauty to get ranked as no.3 in the lists of the top ten European destinations. The country borders the Switzerland and is also at par when it comes to the beauty and natural wonders. The awesome scenery of Eastern Alps is unforgettable for the visitors. 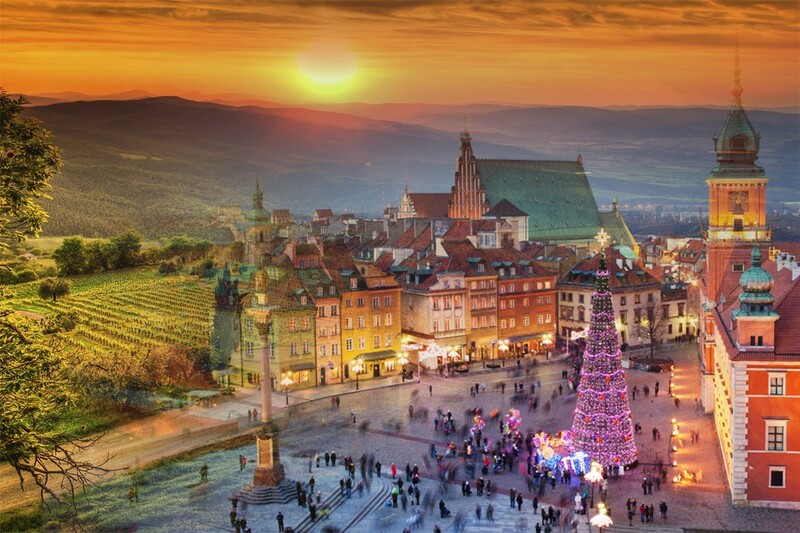 The subtle sceneries, cathedrals, great historical artistic master pieces, leading cuisine, cultural and fashion treasures and much more to explore is offered by the boot-shaped European country. Portugal tops the list. 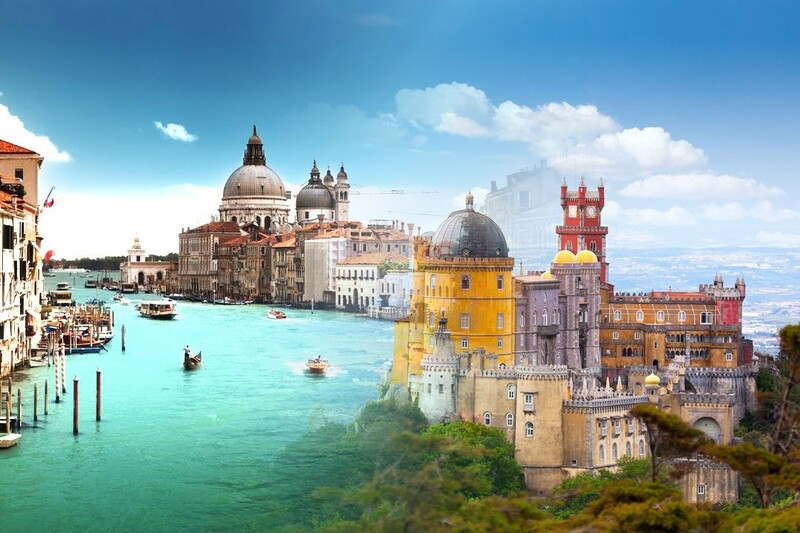 The welcoming Portuguese have made their country as the most recommended destination. The moderate climatic conditions, economical travel expenses, distinct geography, leafy mountains, winery, shinning beaches of Algrave, isles of Azores and Madeira and tempting cuisines (except for vegetarians) make it the top European destination to visit in 2014. Here is a list of top ten places to visit in Portuguese land.